Home » Academics » Schools » College of Arts, Humanities and Social Sciences » Faculty » Christopher Frost, Ph.D. In 2006 he moved to San Diego State University, where he served as Associate Dean of Undergraduate Studies (undergraduate population of almost 30,000 students) and as (full) Professor of Religious Studies. At San Diego State he developed the university’s Honors Program, implemented a study abroad program at Oxford, co-directed an international service learning program to Tanzania, founded “Scholars Without Borders, as an international honors society, assisted in the university’s first capital campaign, implemented a regional common experience program, and served as a founding member of the Institute for Moral Courage. Upon his departure in 2011, he was named Professor Emeritus. A Fulbright Scholar and Senior Lecturer (Bucharest, Romania, 1996) and International Lecturer (Ifrane, Morocco, 1998), Frost has written books and numerous articles that cross both disciplinary and cultural boundaries. His scholarly articles have been published in a wide range of academic journals, including Bulletin of the Menninger Clinic, Journal of Loss and Trauma, Journal of Cross-Cultural Psychology, International Journal for the Psychology of Religion, Humanity and Society, Janus Head: Journal of Interdisciplinary Studies, and Science and Engineering Ethics. 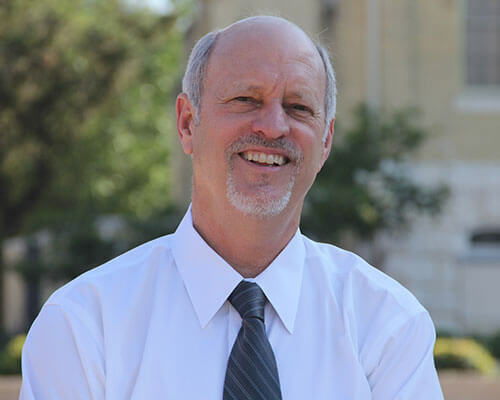 Frost joined St. Joseph’s College as Dean of Arts and Sciences in late 2011, and went on to serve as Vice President for Academic Affairs and as Senior Vice President. He joined St. Mary’s University in 2017 as the Dean of the school now known as the College of Arts, Humanities and Social Sciences. Frost is also the recipient of numerous teaching awards, including the Presidential Award for Excellence in Teaching, the Alumni Association Teaching Award of Honor, and a statewide award, which bestowed the status of Piper Professor (Minnie Stevens Piper Foundation).